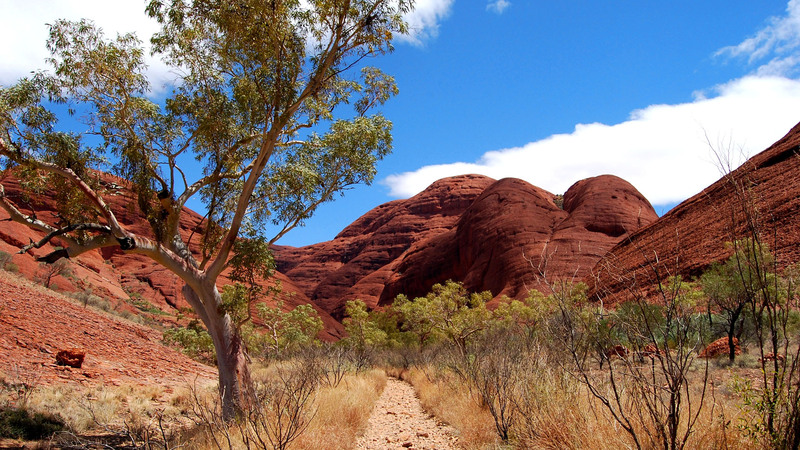 Valley of the Winds is located in Uluru-Kata Tjuta National Park. 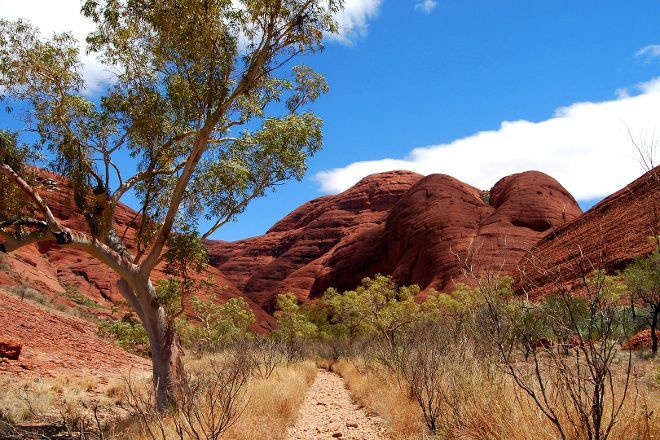 Arrange to visit Valley of the Winds and other attractions in Uluru-Kata Tjuta National Park using our Uluru-Kata Tjuta National Park trip planning website . The full circuit 7.4 km walk is described as difficult and grade 4 in the brochure we had. I think that most of the reason for this is the trail is very loose and uneven and takes reasonable care to traverse without a possible ankle mishap. There are 2-3 steep sections but they’re well spread out and reasonably short. Good well fitted walking shoes are a must, decent runners at the least. Take your camera of course because you’ll want it. Photography will add 30-45 minutes to the walk I’d guess. Water and snacks are a must. Water is available in the car park. 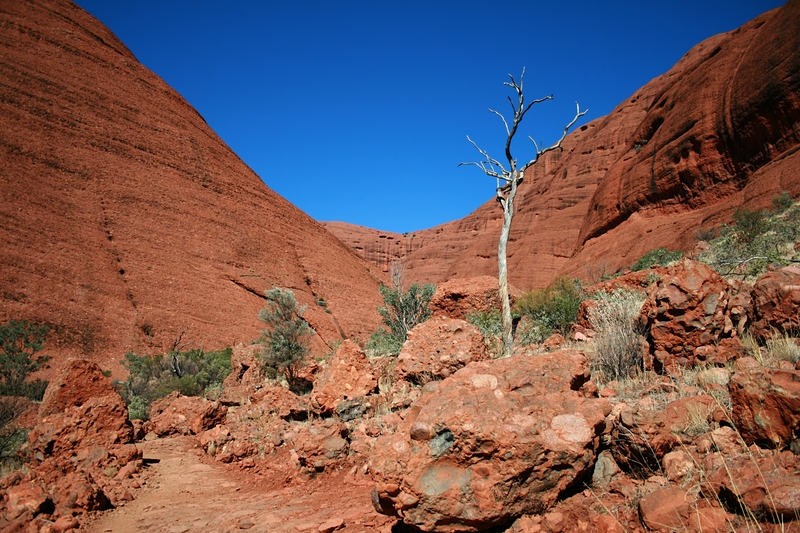 If you’ve done the rim walk at a Kings Canyon then this is a similar length and time without the first 1000 steps to reach the plateau. Easier, not easy. We enjoyed it and surprise surprise we were able to FaceTime with our daughter and show her where we were. Coverage happened on the return leg. Beautiful walk with rewarding views. It's marked as 'difficult', but we found this walk to be quite easy, with very few steep uphill sections. We stopped a lot to take photos and did the walk in about 2.5hrs. Hiking boots are best to use as the path is quite rocky. Also, we did the hike anticlockwise (like the signs said) but I think the views would probably be a bit better clockwise (though fantastic either way!). My absolutely favourite place and experience! Much more trickier and physical than walking around the rock. Such a great feeling to achieve the full circuit! Exhilarating walk through Kata Tjuka, seeing up closer the many different rocks combining to make up the sublime masses. Walk is a little challenging. I wouldn't attempt going far in with children or anyone with mobility issues. If you're fit and healthy it's an incredible day out. Every day, we help thousands of travelers plan great vacations. Here are some tips on how to use your Listing Page to attract more travelers to your business - Valley of the Winds. 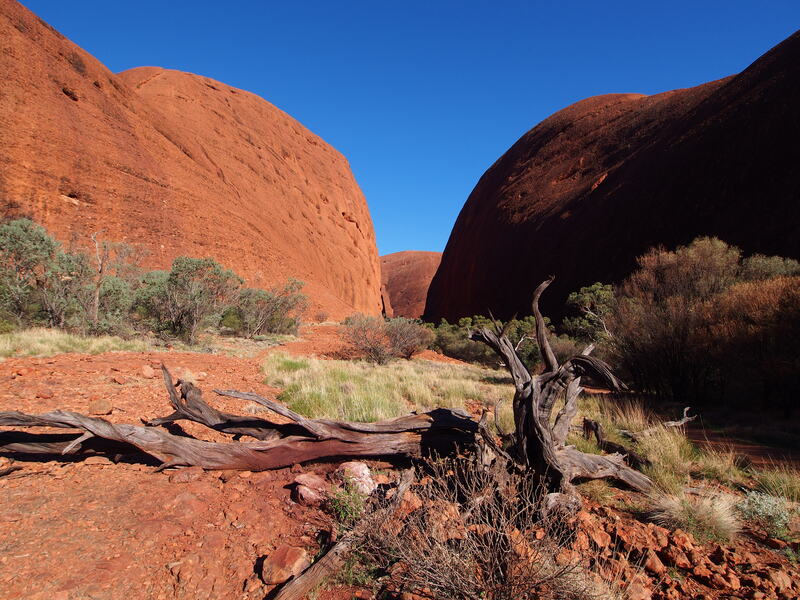 Promote your permanent link - https://www.inspirock.com/australia/uluru-kata-tjuta-national-park/valley-of-the-winds-a8279652147 - on your website, your blog, and social media. When a traveler builds a plan from this page, the itinerary automatically includes Valley of the Winds. This is a great way for travelers looking for a great vacation in your city or country to also experience Valley of the Winds. Promoting your link also lets your audience know that you are featured on a rapidly growing travel site. In addition, the more this page is used, the more we will promote Valley of the Winds to other Inspirock users. For best results, use the customized Trip Planning Widget for Valley of the Winds on your website. It has all the advantages mentioned above, plus users to your site can conveniently access it directly on your site. Visitors to your site will appreciate you offering them help with planning their vacation. Setting this up takes just a few minutes - Click here for instructions.